Tengboche Monastery (3870m/12694 ft) built by Lama Gulu in 1916. Everest view trekking is relatively a short and less challenging trip in the Khumbu region treks. In a limited time, you can get the remarkable amalgamation of the Everest Himalayan close up views and Sherpa cultural customs. Tengboche Monastery is the final destination of this trekking, which is a low altitude region than the Everest Base Camp. Though it is a short trek, it offers awe-inspiring Himalayan vistas and unique landscape. 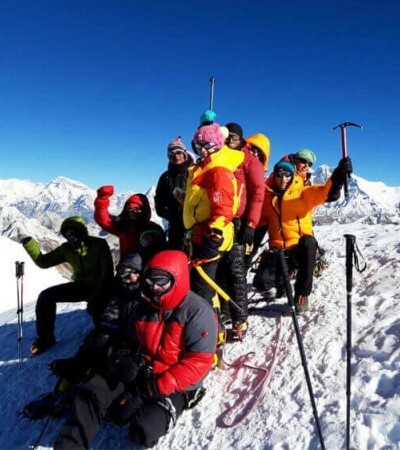 Everest view trekking is also popular as the Everest comfort trekking. It leads you through the alpine wilderness of the rhododendron and birch forest. The trekking goes from Lukla and continues via Phakding and Namche Bazaar. It offers a unique landscape and the Sherpa communities. The views of mountain vistas include Mt. Everest, Lhotse, Nuptse, Kangtega, Ama Dablam and other peaks. Many trekkers get advantage from this trekking, who cannot hike in the high altitude range. There is less chance of getting caught from the Acute Mountain Sickness. Tengboche monastery is a wonderful monastery in the Everest region. From this place, the trek retraces down to Lukla to fly Kathmandu. For the wonderful Everest View Trekking, we offer special package. With excellent services and ideal arrangement, Rising Adventure Pvt. Ltd. leads you to the Tengboche. Please contact us for more details.